This room has escaped some of the more serious destruction seen in other parts of the D.A. Blodgett Home for Children. 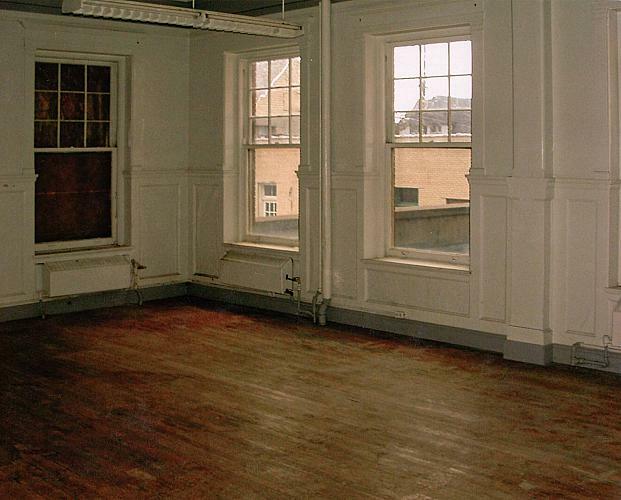 The window at the left has been boarded up, but the original hardwood floor is visible. A fluorescent light fixture hangs from the ceiling, and either heating or cooling equipment can be seen beneath two of the windows.